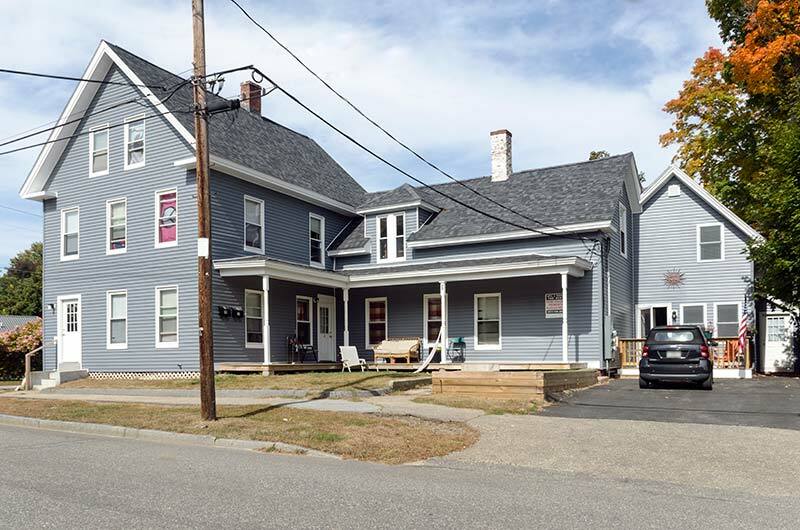 Located adjacent to PSU campus (next to Merrill Place), this property has two over-sized units and surplus off-street parking. Heat, hot water, water & sewer, electric, snow plowing and trash included. Plenty of on site off-street parking. Ground floor unit featuring high ceilings throughout, 4 over-sized bedrooms, a large eat-in kitchen with ample cabinet space, full sized fridge, self-cleaning oven and dishwasher, a large living room and a large front porch. Across the street from PSU. Upper unit occupies the second and third floors featuring high ceilings throughout, 5 over-sized bedrooms, a large eat-in kitchen with ample cabinet space, full sized fridge, self-cleaning oven and dishwasher and a large living room. Across the street from PSU.